Ease into an extended stay at Residence Inn Houston I-10 West/Park Row, featuring stylish suites and complimentary amenities including wireless high-speed internet access and a daily breakfast buffet. 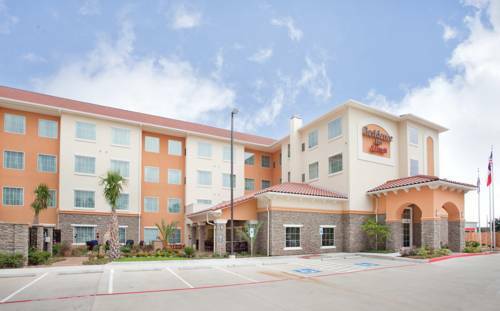 One of the premier hotels for longer stays in West Houston, we provide spacious accommodations with separate living and sleeping areas in addition to fully equipped kitchens. Business travelers appreciate large work desks and plenty of places to plug in. On Monday through Wednesday evenings, our Residence Inn Mix feature light fare, cocktails and good company. During downtime, stop by our 24-hour fitness center with cardio equipment and free weights so you can maintain regular workouts, or relax and mingle at the outdoor pool after a long day of work. We're close to major companies including NACE, Wood Group, Conoco Phillips, Sercel, Subsea7, Shell and IBM. Whether youre lodging with us for just one night or are planning a longer visit, book today and let us help you feel right at home!